Goofy’s Barnstormer, the first roller coaster Sophie ever rode at Disney World! 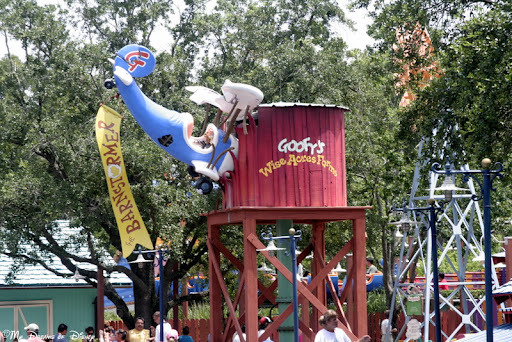 Goofy’s Barnstormer was a roller coaster in Mickey’s Toontown Fair. Based off the story that Goofy was a crop-duster who didn’t know how to fly a plane, this picture was at the entrance to the attraction. Goofy’s Barnstormer was the first roller coaster that Sophie ever rode at Walt Disney World, and from the moment that she rode it, she was a thrill ride junky! I remember when we rode the roller coaster in 2007 (this picture was from 2006) Sophie had so much fun with it, and the line was nothing at all, that we must have ridden it something like 10 times in a row! As you can see, this roller coaster is for the younger age level, but that doesn’t mean that adults can’t have fun also! 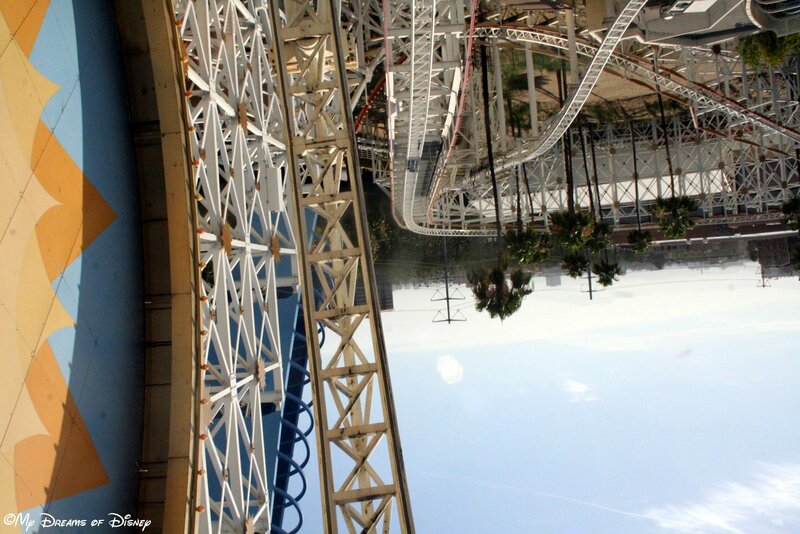 Plus, the twists and turns are quite fun, even if the ride is rather short. 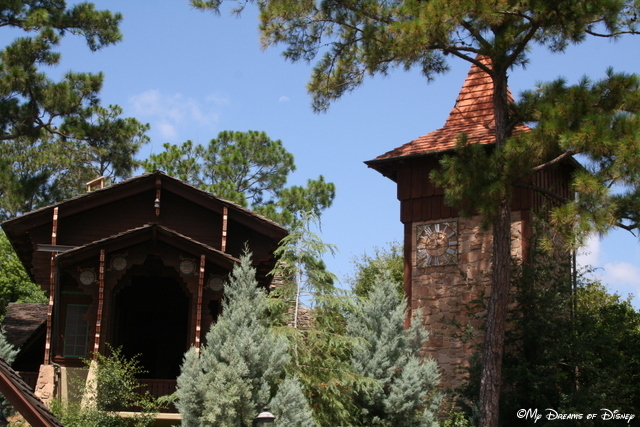 Although Mickey’s Toontown Fair has been closed to make room for the Fantasyland expansion, and Goofy’s Barnstormer is currently closed, the roller coaster that Sophie got her feet wet on will be opening back up in the short term future as the newly re-themed ride “The Great Goofini!” While I expect that the ride will be about the same as it was, except for the theming, I look forward to the day it returns, and my memories of riding that ride with Sophie can be made over and over again! 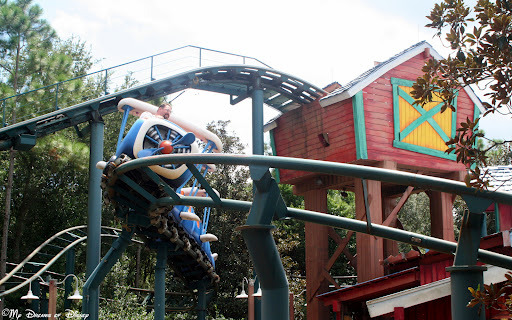 Have you ever ridden Goofy’s Barnstormer? What did you (or your children) think of it? Will you ride The Great Goofini when it opens up?